Series honey supers are a creation that came from a need to harvest honey without killing lots of bees. Traditionally we have used very deep supers in Australia which often contain pollen. Pollen ferments the honey and it also attracts more pests post harvest. In many ways our methods are still quite primitive for honey collection. While some countries use suction as a means to harvest honey cleanly, I don’t believe our bees are suited to this because of the size of the honey pots and time needed to undertake this task. 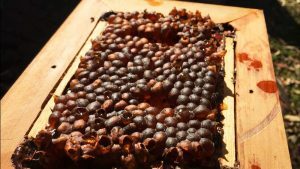 Below is a video of my findings with Series Honey Supers and what I have learnt when harvesting honey from them. Please have a read and make a comment about your methods and what you have found works best. Please press the “CC” logo below the video if you’re hard of hearing. Series supers should be made to give you one flat sheet of honey pots. Depths from 16mm>25mm work quite nicely. Thicker supers from 25mm to 35mm will receive multiple layers of honey pots. This will make it difficult to remove bees nicely. Compressed air is my choice when removing bees but you can also leave the supers outside in a white plastic bag. Bees will want to fly out and cant easily get back in if the top is gently folded over. 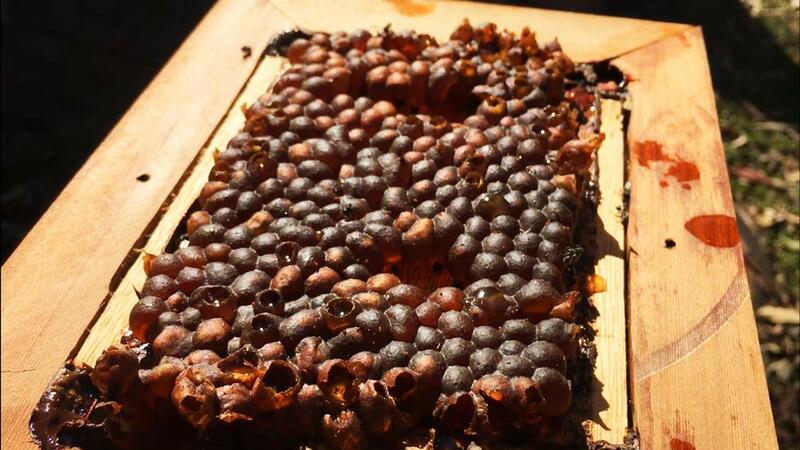 A single layer of honey pots will see bees cleared easily from a super. Bees will deconstruct a honey pot and rebuild it completely if it is damaged. Pricking honey pots and pouring gives you cleaner honey then pressing or cutting. Multiple supers can be added once a colony of bees have filled a hive. A smaller brood area will make bees move into supers faster. Placing the entrance to the super at the back of your hive will see little to no pollen stored in this area. The right size area will also see no pollen. 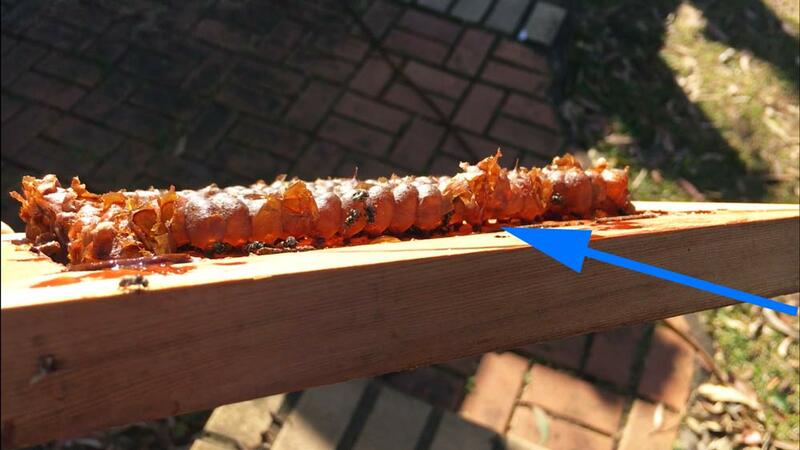 The blue arrow above shows where the space for the stingless bees to walk around is. By use of air you are able to clear any bees hiding underneath or above honey pots. Tall series supers will not provide this. Keep your supers to 24-27mm thick with a ply sheet of 4.5mm set in the base. This gives you 20-23mm deep on your series supers. The honey pots in a thicker super will be more than one honey pot high and so will not lift out like these did. I had a go at a few different methods of honey harvesting. 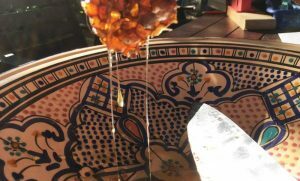 A thin knife can be ran underneath the single layer of honey pots. The whole sheet can be lifted out. Honey pots can then be pressed. You will likely take some of the fragments of wax or anything really into your honey. Dean showed me a video sometime back of a man in Brazil using a razor knife to run down the length of the honey pots. This is very effective at removing the honey but again you may see some fragments added to your honey unless its filtered through something. I gave this method a go by cutting the pots completely off the ply. Fastest method out of the three. Filtering is needed as you will see fragments of wax fall into the honey. The downside to this is if there is a pollen pot it will inevitability end up in the honey causing it to ferment quicker than normal. I am happy with the outcome here as I originally intended to replicate what I saw in the log colony all those years ago. I can say now that we have a method for everyone to work on and refine into something great that will see more honey and less bees suffering. We owe this to the bees as caretakers of them and by keeping them in a man made habitat. We don’t as keepers really do anything for the bees and they don’t owe us. So lets do what we can to cause minimal damage to their homes while taking something that we love so much. Where is the thicket? Gone. Where is the Eagle? Gone. The end of living and the beginning of survival”. Great work on the honey platforms.. when I saw Bob’s honey frames, I knew that the bees would do the same thing, without the actual stucture. What you have, is now the same pure and untainted honey , that is needed for commercial honey production. I love your work… and sorry that you lost you friend AB.. I think Bobs have the upper hand for clean production because of his food safe plastic and how the honey never touches the outside of the honey pot. Truely genius with his little filtering honey spinner. Thanks for the encouraging comment. ?? Nice job Nick, I admire your work. Thanks for sharing. Awesome as usual Nick. 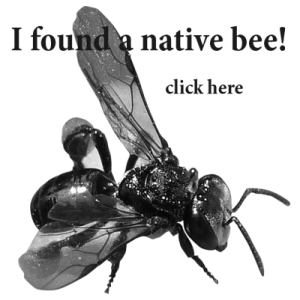 I need to develop supers the hebel hives and I reckon your method is the way to go. let Me know what you try. ??? Shall do Nick. Thinking of using cutting board material instead of timber. Good local supplier extremely cheap. Give it a go anyway. Keep you posted. I think this is a good use of the cutting board. 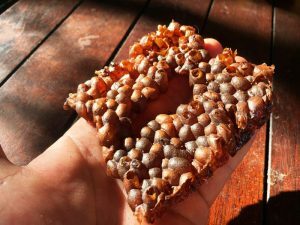 Food safe and an object of permanence in a stingless bee hive. I will definitely be trying this idea. Love it . Thanks for dropping by and leaving a positive comment. ?? Great research/idea Nick. I love how it makes stingless honey extraction similar to honey bees, I can visualise the future of spinning super series! how do the bees fill the frames? Do they fill a level at at time and then move up? or do they gradually fill each one at the same time? I look forward to trying the idea also. Hey there!! Great question. The Bees move up the levels filling each one before the next. The do however work on sealing the gap on each super with resin around the edges first. ? Thanks for your work and sharing the info. I’m pretty new at this really. 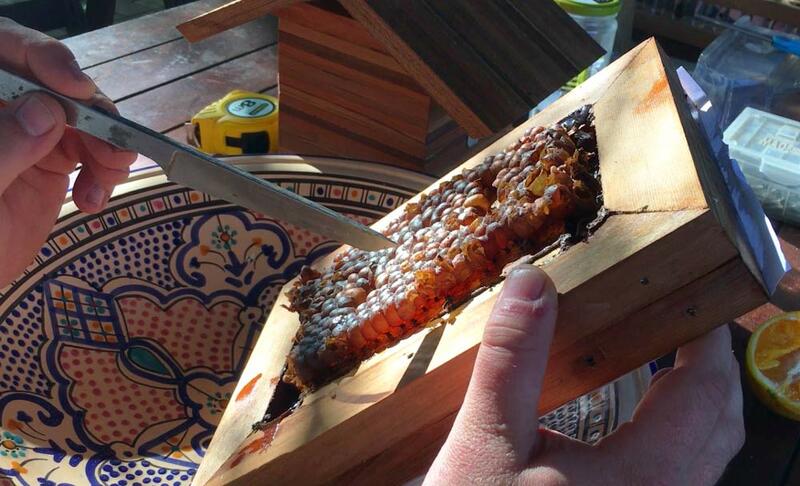 Am about to do my second split to share the joy with a mate and was fascinated by your method of enabling getting the honey with minimal harm to the little ladies by using the series supers and plan to add them into the hives after splitting. I have Tim’s design of OATH box. But I would love to know where you got the plastic pin plate thingie. Searched online but obviously didn’t have the right description. I design and make furniture in my shedudio in Sumner Park industrial estate, and established a bit of a garden with the bees in mind and sure do love seeing the aimiable little creatures going about their lives. Hey thanks for dropping by.. Good to hear your stuck into the Bees. The plate thingy isn’t produced yet but I’m working on them. That one I submitted plans to a 3D animator and then had it produced by 3d printer through my manufacturer. It needs some tweaks to it. Once again – thanks for the new honey super concept. My go-to timber would be cypress. You recommend 16mm>25mm and my local supplier can source rough sawn 50×25 so dressing the 25 dimension should produce a thickness that will work well and stack seamlessly (less gaps between layers) and fit current hives. For those who have not been there yet – rough sawn usually has gaps because it is not quite straight and different boards can be “different”. Dressed is more expensive but has advantages in construction. One question that needs clarification. Do you recommend the divider plywood on each is at the top or the bottom of each? Good info there! Thanks for sharing that, it will help people.